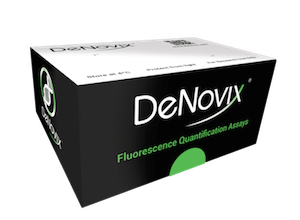 The DeNovix dsDNA Fluorescence Quantification Assays provide the greatest sensitivity and widest dynamic range available today. 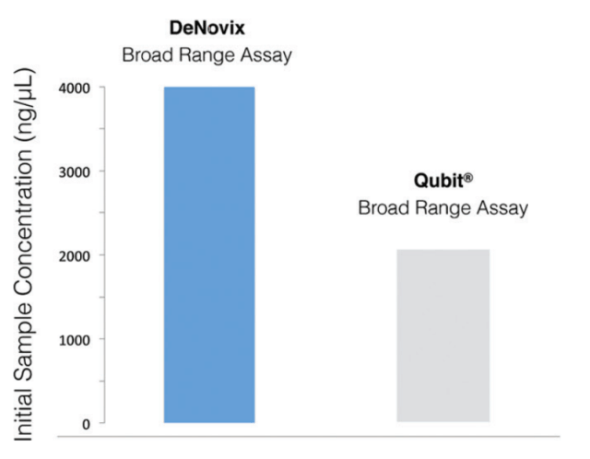 DeNovix offer three highly specific assay kits for a wide range of sample concentrations. DeNovix kits selectively and accurately measure dsDNA even in the presence of common contaminants such as RNA, ssDNA or protein. Combine the specificity of fluorescence with the purity measurements of absorbance on our DS-11 FX range for the optimum sample QC procedure. DeNovix dsDNA assays cover three overlapping ranges of sensitivity. Each kit includes standards for easy set up of a two-point standard curve. 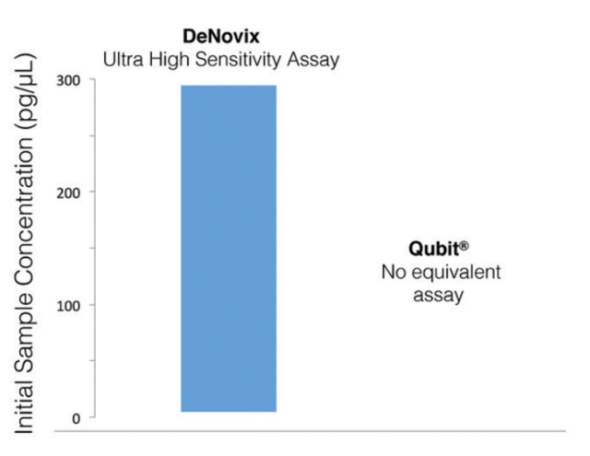 DeNovix assays have a wider dynamic range than Qubit® dsDNA assays – and are more affordable. Our breakthrough dsDNA Ultra High Sensitivity assay allows measurement of samples as low as 0.5 pg/µL (original sample concentration), 20X lower than the core range of the Qubit® dsDNA HS assay. For those labs requiring higher throughput, all DeNovix assays are also compatible with microplate formats.